The Whitewoods LT18 Lightweight touring snowshoes are designed for lighter weight adults and young adults to easily tour the backcountry. The Whitewoods LT18 Lightweight touring snowshoes are designed for lighter weight adults and young adults to easily tour the backcountry. 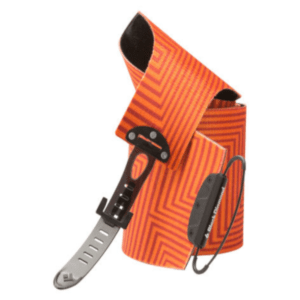 These are also great for ascents with skiboards in your pack looking forward to that thrilling descent providing a less expensive alternative to AT bindings and climbing skins. 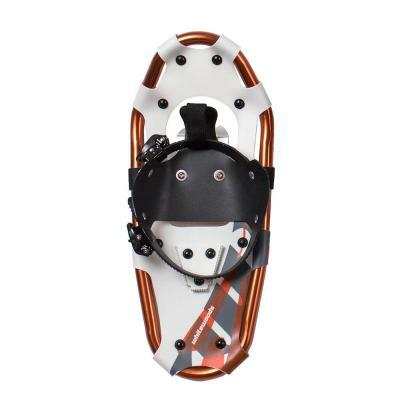 The adult/young adult LT model has an improved articulating binding spindle with auto-centering guides and oversized toe crampons for a secure and comfortable grip and stride. 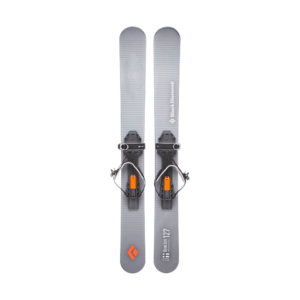 It has a tapered design for light touring, backcountry and day trippers. All of Whitewoods snowshoes are made with aircraft grade 6061 aluminum, 2mm polyethylene decking and reinforced nylon washers all deck rivet locations. All bindings and crampons are mounted with lock nuts, not rivets, so they can be easily maintained. 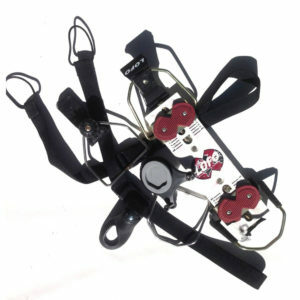 3mm thick aluminum crampons offer an even transfer of weight and a secure grip. Bindings adjust easily to your boots. Size: 18″ x 7″ for under 60-100 lbs.